A relative once told me that Advice being free need not be taken. It's a pity I didn't ask her if she was the one who coined this statement. Kudos to the owner. I now pass it on. I often hear others relay quotes, comments or remarks. Among the cache is New York, New York. It is so big. They named it twice. Whether or not such a remark was made, Cheers! I believe that New York is an institution in itself. It is capable of expanding minds and rest assured there is always someone with an experience or an advice, waiting to share. I was fresh to New York and in my vulnerable years when I received an interesting advice. It came from a woman with whom I shared a conversation as I stood on the platform of the Nevins Street Subway Station in Brooklyn. She seemed wise and experienced beyond her years which led me to believe that she was raised by her Granny. Trains went in and out of the Station as we talked and laughed. We appeared like best friends to our fellow commuters. They stared and smiled probably wishing they could have joined us. Realizing that we had missed our formal introduction, the stranger interrupted our conversation to report that she was from one of the Caribbean islands and had been living in New York for twelve years. At the time, according to the unofficial rule set by some people or a bet as I called it, a Caribbean immigrant should accomplish his or her goal in ten years. Thus in her case she was two years over the measured time and should have been well fortified. After taking a careful note, I revealed that I was a native of Jamaica and a rookie to New York. I also wanted her to know that I was not a stranger to big cities so I bragged that I had had the privilege of living in Toronto, Canada with my mother who resided there after the death of my father. The revelation about my Canada days didn’t impress this stranger, it seemed. She remained mute, staring at a train that had arrived in the station. Maybe Toronto isn’t as exciting as New York City. Whether or not that was the case it didn’t matter because I had spent some of my precious years in Canada and had no regrets to report. Soon after the train left the station the stranger broke her silence. “Look,” she said, drawing my attention to the Subway tracks. “You see how they run crooked. Well, that is how you have to live in this place called America,” she warned. “You have to learn to bob and weave your way around just like those tracks in order to make it here.” “No way,” I said, my heart pounding rapidly against my chest. “I am not going to live a life of deceit and lies just to be in America. It is not right in the sight of God. Further more my mother and father raised me well. I can’t afford to do that. 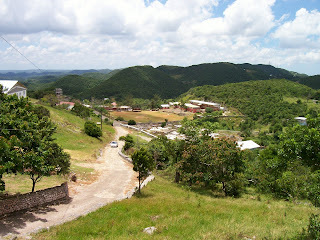 I would rather go back to my bush-bush (rural life) in Jamaica to play with peeny-wallie (firefly) than become a liar. A liar sometimes turns into a thief,” I said with defiance, almost choking on my saliva. Having shared that, I began reciting a verse which was popular amongst my childhood friends when we caught each other telling untruths: Every liar is a thief, every thief is a bun pan boiler, and every bun pan boiler is a robber. My outburst and reciting of the verse did not quiet the stranger. She believed in the advice she had shared with me. “You are too proud for your own good,” she said, laughing. Eventually, you will learn.” On that note we ended our conversation mindful that it was time for us to go about our respective business. Decades have passed since I encountered the woman at the Nevins Street Subway Station and believe it or not her advice or her bob and weave method on how to survive in America, which she associated with the layout of the subway tracks, has remained fresh in my head. Some days her advice seemed the perfect measure to handle difficult situations but in keeping with my morals and for my peace of mind, fearing repercussions, I have found the courage not to fall prey to her philosophy. Instead I bob and weave truthfully...making my way through crowded streets and the Subway to get to my purpose. 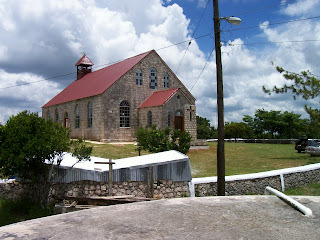 Thanks to the little village in Jamaica, governed by the Nazareth Moravian Church, where I was brought up. There, it was all about Christianity, education and steadfast morals. Stretching this a little further, the Moravians as most people know were and still are sticklers for education. Even more interesting, whenever I conjured evil thoughts, they were quickly dispelled after taking the slightest glimpse at the church which sits on a hill and gazes down at the village and its environs like a mommy watching over her baby. If that wasn’t sufficient to inject the holy fear in me, Nazareth, the name of the church proved as a stern reminder just like the many other religions that have now sprung up in and around the village. The watchful eyes of the Lord have increased I would say. So there it goes one way or the other I couldn’t escape the solid foundation on religion, mannerism, deportment, education and respect. I received the components at church, Sunday school, infant school or basic school (pre-k, kindergarten), big school (elementary/primary school), and from the villagers and most importantly at home where cultivating honesty was number one. I had to speak the truth around my parents and if I didn’t I would be brought back in line with a back-hand across my mouth or a few slaps with a leather belt much to the delight of the village kids particularly the ones that I didn’t give a piece of my lollipop or busta (candy made with coconut and sugar). The way I dressed also counted. My body had to be covered in a reasonable manner...no showing of skin. I was not allowed to wear shorts or pants because these were considered men’s wear. Besides that they would highlight the curves and lines of my physique, inviting the male. Today in our society these rules, beliefs or teachings would be classified as stifling, outdated, old school, back-in-the-day, strange or a matter of choice. Memory gems also played a major role in my up bringing. My infant and elementary schooling were furnished with them galore. There were memory gems for almost every behavior under the sun. They were in the form of a verse or one line. For honesty it would be: Speak the truth and speak it ever, cause it what it will. He who hides the wrong he did does the wrong thing still. For cleanliness I sung and recited: Bits of paper, bits of paper lying on the floor, makes the place untidy, pick them up... For punctuality it would be a simple line: The early bird catches the early worm. For peace I recited: Little fingers were not made to pinch and tear but to move in deeds of kindness and fold in thoughts of prayer. For education I recited: Be wise and be gentle to those who are old, for learning is better than silver and gold, silver and gold will vanish away, but a good education will never decay. On reading I repeated: Books are the key to wisdom and knowledge. Overall these memory gems remained fun. Although much thought wasn’t given to these verses and lines as I recited them umpteen times, yet for some strange reason they lodged in my cranium...never rotted. I repeated them long enough until the words became action in my daily ups and downs. They were basic psychology, drilled in every child to keep us focused, aware of our surroundings and treat people with kindness, respect and love. In sync with the memory gems there was a repertoire of songs with a spiritual touch to keep me gracious, positive, thankful and forgiving. At morning devotions my schoolmates and I sang: Lord help me live from day to day, In such a self-forgetful way, That even when I kneel to pray, My prayer shall be for others… Or, we would sing: Awake my soul and with the sun, Thy daily stage of duty run, Shake of dull sloth and joyful rise, To pay thy morning sacrifice. At mealtime we sang: Be present at our table Lord, Be here and everywhere adored… At evening devotions we sang: If I have wounded any soul today, If I have caused one foot to go astray, If I have walked in my own willful way, dear Lord forgive… We also, by rote, indulged in Bible verses and chapters, mostly from the Psalms. Getting things done in the proper manner in my childhood village could never be short changed. Therefore, Poetry was incorporated in the foundation for good discipline amidst yawns and drowsiness, brought on after eating from the school canteen a lunch of bulgar (wheat) saturated with a delicious sauce made with flour, salt, margarine, escallion, thyme and colored with annatto. Regardless of the lull which the heavy lunch placed on me, I was able to grasp and treasure poems such as The Creation by James Weldon Johnson, Who Has Seen The Wind by Christina Rossetti, John Milton’s poem On His Blindness and Claude McKay’s If We Must Die. Looking back, I believe that these poems made me aware of fears, self-respect, life, the elements and disasters. Henry Wadsworth Longfellow had my eyes set on ambition with his verse: The heights by great men reached and kept, were not obtained by sudden flight. But they, while their companions slept, were toiling upward in the night. Folklore also had its place in grooming me. This was the icing on the cake so to speak. I listened to countless stories about duppies (ghosts) and was warned against the black heart man (evil person or kidnapper). Our local language added a rich flavor which made the stories comical. I heard about ghosts or someone’s old people appearing in the form of an ant, a bird, a butterfly or a lizard. These far-fetched stories for some strange reasons remind me of science fiction movies. Thus, X-men, Godzilla and ET could very well be the modern day duppies…the reality of the unreal. Last but not least, a village or community could never uphold its principles without coming together as one to socialize. I think fondly of the many skits that were drafted and performed at the spur of the moment. They mirrored scenes on all aspects of our local life. I have had many great laughs which linger to this day, perhaps for good reasons. On that note, this brings to mind people who have recounted the many times they tripped and fell to the ground and gladly reported that they prevented a disaster by “breaking the fall” with their hand or an object. Likewise, I am sometimes confronted with mal intentions or temptations as it was with the advice of the woman whom I had met at the Subway. Luckily, I had a crutch to lean on...the morals that were set during childhood. They came through songs, memory gems, poems, folklore, Christian teachings and skits. Such a wonderful bag of goodies I have gained. Would you like some? Or, do you have your stash? I really like the verses for everday behavior/habits such as on education and peace. It brings together a constant reminder to live our life a certain way so that we may live an honorable and decent life. I agree that regardless of situations or bumps in life, one must never compromise his/her morales just to "make it" whether here in America or anywhere else in the world. Grace, this is an excellent article! You've touched on the subject of advice and morals that are the core to living true to yourself. Those pictures certainly leave me nostalgic and longing for home. Some how it seems that our little community hugs on all sides as it is by an almost motherly mountain range shields and protected our little village from the cruel shocks which rock the world 'outside'. Ah the good old days. Thanks for the memory! !